Welcome to cuckoo-land, home of the fake. Such was the situation this reviewer found himself in last night as I sought refuge from all the St. Patrick’s Day-themed festivities in the cozy confines of Lincoln Hall. And although the headliner sported a presumably Irish name, it felt reasonably safe to assume a Cass McCombs show would offer a welcome reprieve from all the seasonable hoopla and excesses that surrounded Lincoln Hall that evening. This proved to be an accurate assumption on my part, as the sold-out crowd on hand was a suitably mellow and polite bunch (one gentleman took in the show decked-out in a full suit and tie). This generally laid-back vibe made sense, considering the remarkably unassuming and subdued nature of Mr. McCombs himself. But as those who are familiar with his music know, the above description doesn’t fully capture the entirety of McComb’s somewhat enigmatic musical style, a style which this reviewer has always found particularly intriguing and difficult to pin down. Although you could characterize him as a singer-songwriter (which is technically accurate), there has always been a certain inexplicable otherness to his music that has made McCombs standout from that crowded field. He sports a somewhat stoic and subtly dark brand of folk-rock, with occasional shades of psychedelia and alt-country peppered into the mix for good measure, all executed with his uniquely detached-brand of coolness in the process. He is a truly individualistic artist in that sense, seemingly unconcerned with fitting into any one particular scene, operating just under the radar of popular culture, existing in a singular space entirely of his own making, and exempt from of any flavor-of-the-month trends that surround him. All of those factors are certainly a large part of his appeal, so was quite curious how those aforementioned traits and inclinations would translate in a live setting. In short, they translated quite well, as the Cass McCombs live experience proved to be highly groovy and notably palliative one on the whole. He and his 4-piece band kicked things off in fittingly mellow fashion with the two opening tracks from his buttery new record Tip of the Sphere, an album he pulled from heavily throughout his 2-hour set that evening. In fact, would estimate that roughly half of his set consisted of material from that aforementioned album (much to the delight of this reviewer). Pretty much every selection that evening had the effect of casting an often hypnotically chill spell upon the audience, as the grooves washed over the crowd like calming aural waves. This was particularly true during somewhat haunting performances of songs like “Absentee”, and a notably drawn-out version of “County Line”, which proved to be quite the spellbinding experience. But arguably the most impressive thing about McCombs and his band was their propensity for groovy, extended jamming in a live setting, most notably on cuts like “Rounder” for example. There was a consistently groovy element to most all their songs that evening, which only accentuated the often velvety textures flowing from the stage, most evident in their performance of songs like “Bum Bum Bum” and “Laughter is the Best Medicine” (which featured opener Sam Evian on sax). But for this reviewer, the main highlights came from the more poignant and yearning offerings, particularly during performances of the wistful “Sidewalk Bop After Suicide” (a personal favorite from Tip of the Sphere), and the uniquely compelling “Sleeping Volcanoes”, which McCombs performed with a little extra “oomph” (for him). And of course I’d be remiss if I didn’t point out that a Cass McCombs live show is not all sedate, poetic grooviness, as he would occasionally rev things up (again, for him) a bit with songs like “The Great Pixley Train Robbery” and a notably raw version of “Rancid Girl”, which closed their set as part of a brief encore. So overall, Cass McCombs and his incredibly talented band really brought the entire package to Chicago Saturday night. And it was a highly satisfying and rewarding one at that, as McComb’s proved himself as not only just a uniquely great singer-songwriter on record, but a pretty fantastic live performer as well (his guitar-playing was particularly impressive). 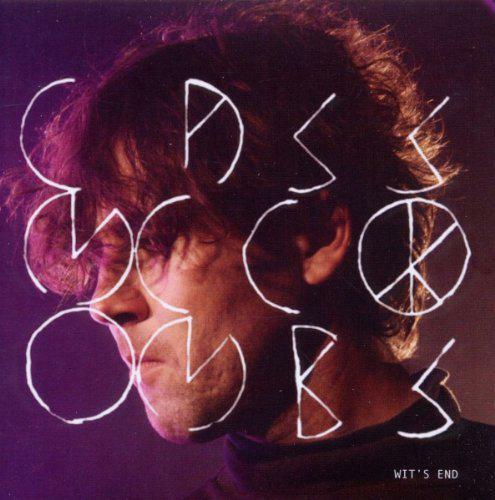 Haven come into the show as only a modest fan of his, after the live experience, I came out of it with a new level of respect and admiration for McComb’s music, so would highly recommend catching Cass McCombs live if he comes to a venue near you. A Lot of good vibes and great music on display that night. And That’s That.